Ring up and book via reception or online, appointments on Mondays. The quickest and safest way to order your medication is online - Get signed up now. Pop down to reception with photo ID and they will be able to set you up with your username and password. You can then order your repeat prescriptions 24 hours a day. This has to be done in person by the patient requesting access. We are sorry but for data protection this can not be done on your behalf. Please make sure you have enough medication to cover you over Easter. Order before FRIDAY 12th APRIL to guarantee you don't run out. Let us know your nominated Pharmacy as we can send it directly to them save you coming down to collect it too! All repeat prescriptions are recorded on and issued from our practice computer and will have a counterfoil attached which details all your current medications. 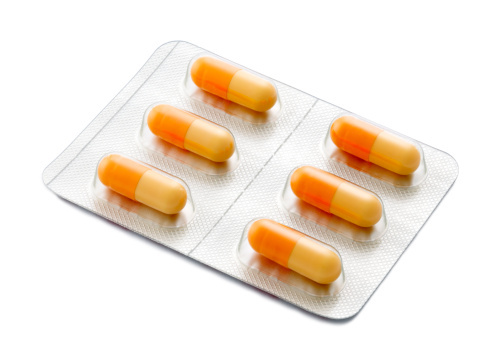 You can use this counterfoil to request further medicines by sending it to us or dropping it into reception. If you do not have this counterfoil please ensure that your name, address and the items you require are clearly indicated on your written request. You can also order online via the link at the top of this page. IF YOU ARE REQUESTING SOMETHING THAT IS NOT ON YOUR REPEAT, THE GP WILL REQUIRE A REASON FOR THE REQUEST. WITHOUT THIS REASON YOU MAY NOT RECEIVE THE PRESCRIPTION. THIS IS FOR SAFETY REASONS AND WILL HELP SPEED UP THE REQUEST PROCESS FOR NON REPEAT ITEMS. Please note: you will not be able to order Warfarin/Methotrexate repeat prescriptions online. Issue of these medications need to be closely monitored. Please order directly through the surgery. For women needing a repeat of the contraceptive pill, please make sure you have had your blood pressure taken within the last 12 months when ordering. You can either book an appointment with the nurse or use the machine at reception. It is important that you have a review yearly along with your blood pressure being taken. For patient safety we do not accept requests for repeat medication over the telephone. Note: we trust our local pharmacists to provide a safe and supportive service. We do not endorse or recommend any companies who provide online or postal service for repeat medication. Occasionally you will be asked to see the doctor or practice nurse in order to review your treatment. At the bottom of the counterfoil on your repeat prescription form is a review date. This is to remind you that the doctor needs to be able to review your current medication to ensure it is helping your medical condition and to see if you are well. Please make a routine appointment with the doctor at the requested time. Occasionally these review dates are updated by the practice nurse, e.g. contraception/HRT checks. Repeat prescribing is undertaken to save both patients and doctors the time taken by a consultation when a patient with an ongoing problem stabilised on regular medication needs further medication, but is not yet due for review by a clinician. 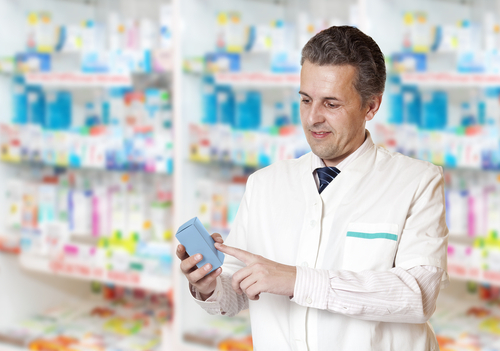 Repeat prescriptions are given instead of a larger supply being issued at a regular review. The system should run in a way that is convenient and cost effective for both patients and Practice. This Practice aims to have repeat prescriptions ready for collection from the Surgery within two working days of receiving the request for the prescription. Where patients wish us to return these directly to a pharmacist that operates a collection scheme, we will do so. Where the patient provides a stamped addressed envelope, the prescription will be posted back within two working days of the request being received. Currently we will accept requests in writing, by fax or using the internet facility. Telephone requests are undertaken in certain circumstances after discussion between clinician and patient. (e.g. housebound patients with difficulty writing who would benefit from telephone requests). We aim to provide 56 or 28 days of medication, the latter when there are likely to be changes or there is a risk of misusing medication. Patients often need medication early for reasons of convenience, e.g. holidays, Xmas and various other personal commitments. There is no reason why they should not be supplied earlier. However, a few patients using addictive medication (e.g. narcotics, benzodiazepines), may seek to escalate their dosage, and if this occurs, they will need to see a Doctor. A few patients whose medical condition is uncontrolled (e.g. asthma) will start to use their medication to excess, and this will need to be reviewed by a clinician. All patients on regular medication need to be reviewed at intervals by a clinician, and where this appears to have been forgotten, the patient will need to be reminded. All prescriptions must always be legible and accurate. We are therefore seeking to have all repeat prescriptions produced by (and recorded on) the clinical computing system. All prescriptions to be entered on the computer must be checked by a Doctor before and after entry. Only prescriptions authorised by a Doctor may be issued, and a Doctor must sign all prescriptions. The waiting times for prescriptions are told to patients as they are requested, by notices in reception and in the Practice Leaflet. This is closely monitored by the Senior Receptionist who ensures that they processed and signed by a GP within in the timescale.